"Law makers, law breakers, let us fight them all. Why not?" The Liberator has travelled to Space City, the so-called "satellite of sin" to enlist the aid of a criminal organisation known as the Terra Nostra in order to infiltrate the Federation on Earth. Gan in particular is unhappy with getting involved with such criminals. 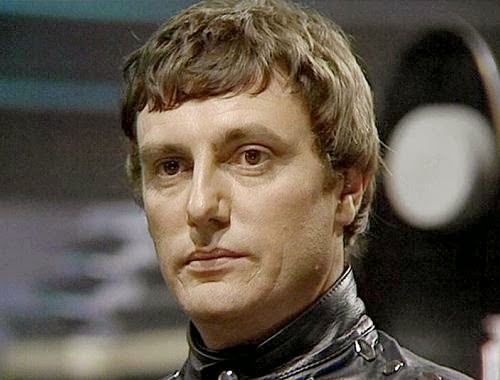 Space City is controlled by Largo who is an acquaintance of Jenna's and on his way up in the Terra Nostra hierarchy. He's also a supplier of a highly dangerous drug called Shadow, which he uses to his advantage when he forces addicts of the drug to work for him. Shortly before Blake arrives he attempts to cut a deal with two such addicts - Bek and his sister Hanna. However the two of them turn the tables on Largo and run off with a supply of the drug although they are soon captured. Blake, Jenna, Avon and Gan teleport to Space City in order to negotiate with Largo. Vila, having always wanted to visit Space City is disappointed at being left on the ship. He persuades Orac to operate the teleport for him in exchange for hiding Orac somewhere on the ship where he cannot be found. Vila goes to Space City and gets very drunk. In the meantime, Blake and the others have been captured by Largo and are locked with Bek and Hanna. 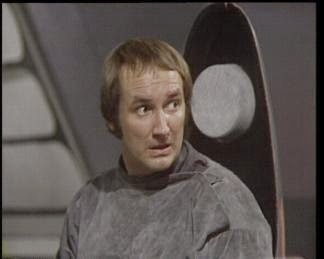 Cally, who is still on board the Liberator, tricks the officials of Space City into releasing Blake and the others and everyone returns to the ship, including Bek and Hanna. Orac is still hidden on the ship and no one is able to find him - including Vila who has an alcohol-induced mental block. Blake meanwhile has decided to force the Terra Nostra into helping him by attacking their supply of the Shadow drug. Zen's analysis of the drug shows that it is derived from a plant called a Moon Disc that can only be found on one planet. Deciding that this is where the Terra Nostra are farming the drug, the Liberator heads for the planet Zondar. 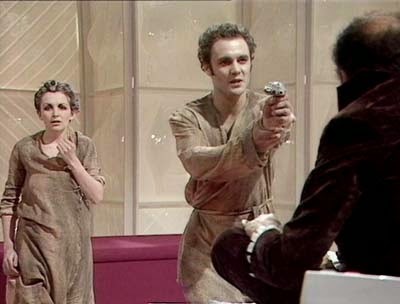 While searching for Orac, Cally comes under mental attack from the computer which leaves her in a catatonic state. Vila finds her lying comatose with Orac beside her. Blake, Jenna and Avon teleport down to the planet Zondar and set about destroying the Shadow processing facility there. Meanwhile Orac mentally orders Cally to teleport down to the planet which she does, unknown to the rest of the crew. Once there, Cally collapses amongst a group of Moon Discs which start moving towards her. Back on board the ship, Orac announces that "the bridge is complete" and then takes control of the ship's systems, forcing it to begin descending rapidly towards the planet's surface. 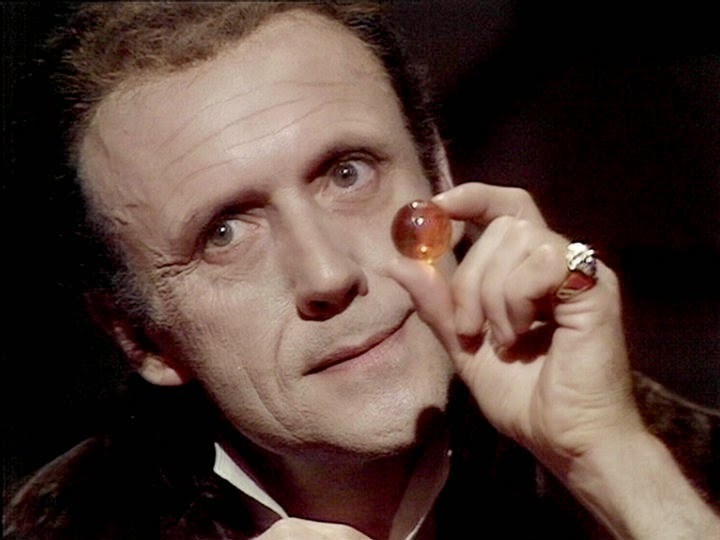 Cally makes mental contact with the Moon Discs who, it turns out, are sentient beings and uses their strength to overcome Orac's power and switch him off. The ship is saved but Hanna is dead, electrocuted by Orac as she tried to switch him off. Everyone returns to the ship. Orac, it transpires, had made contact with a dark force in another universe which had then taken control of Orac in order to try to cross over to our universe. 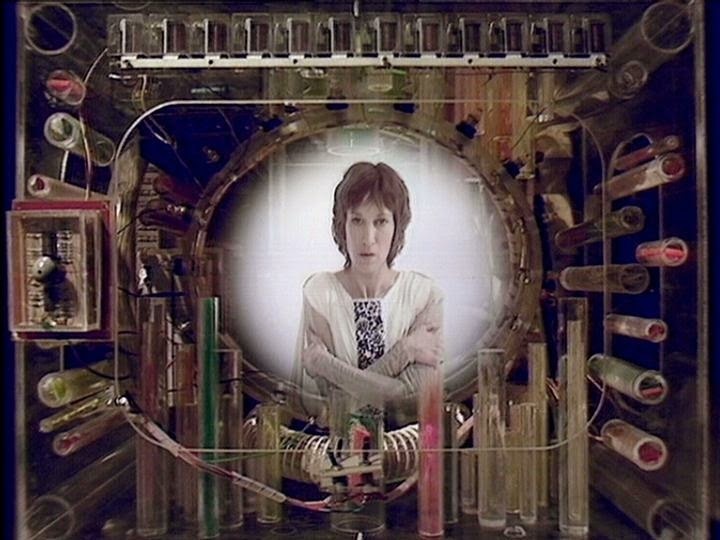 Using Orac, the being had attacked Cally as it saw her as the biggest threat. 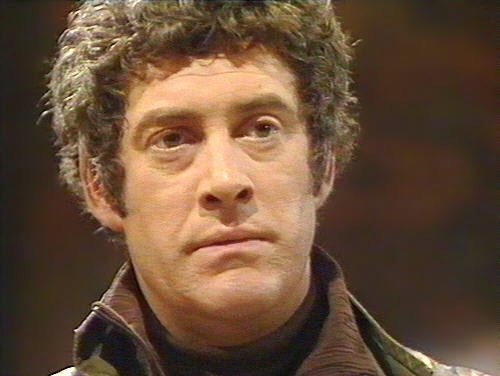 Blake, meanwhile has discovered that the leader of the Terra Nostra is the President of the Federation, meaning that the Federation controls both sides of the law. Blake: Sees no problem with using the Terra Nostra for what he sees as the greater good of being able to attack the Federation. In the end all he's interested in is winning, using whatever means necessary to achieve that. His plan comes unstuck when he discovers that the Terra Nostra and the Federation are controlled by the same person. When Cally is comatose, a frustrated Blake loses his temper, snapping at Vila, Gan and even Jenna until Avon tells him to calm down. Avon: Takes the lead in the initial negotiations with Largo - effectively taking over Blake's role in what will turn out be a foreshadowing of things to come. He's content to stand by and watch while Blake had his temper tantrum before stepping in to calm things down. It's possible he sees this as a means to begin undermining Blake's leadership. He considers Cally to be more human than he is. Jenna: Knew Largo in her previous life as a smuggler. He asked her to transport some goods to Earth without telling her that it was drugs (specifically Shadow). Once she realised, Jenna turned him down, just as well as possession of Shadow carries a mandatory death sentence. Once again she sides with Blake, taking his view that the Terra Nostra can be forced into helping them. Vila: Looking forward to going to Space City due to its reputation as a den of vice and corruption. Is therefore rather upset when Blake leaves him behind on board ship and decides to go there anyway. It's revealed that Vila loves a drink and his drunken binge is the catalyst for much of what happens in this episode. Gan: has moral objections to working with the Terra Nostra although, as Blake points out they are using them rather than working with them. Cally: Refuses to teleport Vila to Space City which is why he enlists the help of Orac. She is seen as a threat by the dark being that controls Orac because of her mental powers as is mentally 'locked down' as a result. Speaking of which we see a rare example of Cally using her telepathy in order to help Blake after he's been captured by the Terra Nostra. She also concocts a clever bluff to persuade the authorities in Space City to release Blake and the others. Zen: Seems to have developed a bit of a rivalry with Orac as he states that Orac is not concerned with the safety of those on board the Liberator. Which turns out to be right to a certain extent. It's possible that the source of this rivalry is the fact that, for the second time, Orac takes control of Zen's systems. It's also the third time in as many episodes that an outside force has taken control of Zen so he probably has good reason to be upset. Orac: As has already been established, Orac is possessed by a being from another universe. This is because the carrier waves that Orac uses to contact other computer travel through this other universe and allows beings from that universe access. That goodness that sort of thing doesn't happen with my WiFi. 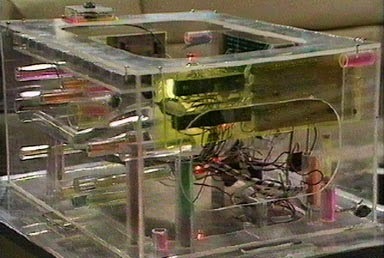 At the end of the episode, Avon plants a small explosive within Orac. Should anyone attempt to tamper or take control of Orac in the future then Orac will be destroyed. This is the first episode of the series not to be written by Terry Nation and, not wishing to be harsh on Mr Nation, but this is probably the best episode of the series so far. Written by series script editor, Chris Boucher, who would be responsible for shaping the direction of the show over the next couple of years, this is a very busy episode where everyone is given something to do, even the much misused Gan who gets to play the crew's moral compass. It's a shame that no one listened to him as Blake's plan ultimately achieves very little. That said, it's nice to see that Blake seems to finally have a mission. 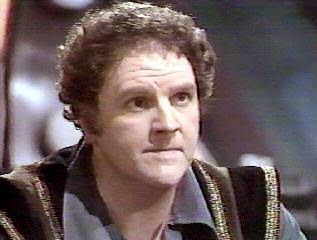 The past three or four episodes have strayed slightly - focusing more on Orac and his prediction than on Blake's war with the Federation. With Blake deciding to take the fight to Earth, that focus has firmly shifted back to the main premise of the series. In terms of characterisation, it's interesting to watch the development of Blake and Avon. Avon is taking an increasingly commanding role - he was the man with all the answers in 'Redemption' and here he's in charge of negotiations, with Blake very much taking the back seat. Blake on the other hand seems to be losing control, unfairly snapping at everyone around him when things get too much for him. This episode is also very good for acting performances. 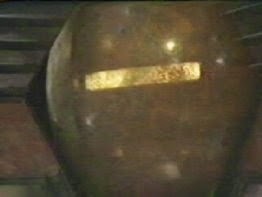 Both Karl Howman (aka Jacko from 80s sitcom 'Brush Strokes') and Derek Smith as Largo are excellent but special mention must go to Peter Tuddenham who makes the possessed Orac sound genuinely chilling. 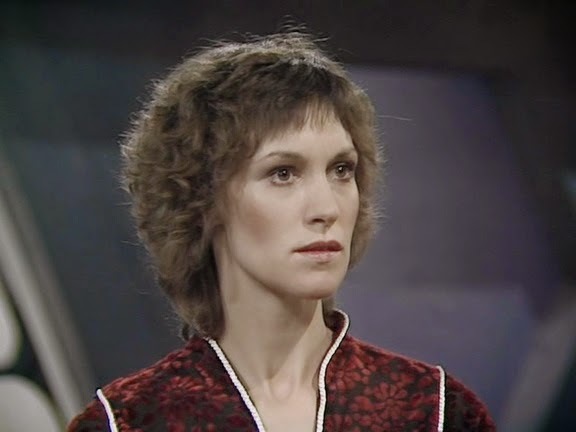 Next week: we find out what Servalan and Travis have been up to in 'Weapon'.